What does an Early Childhood Educational Leader do ? So you have accepted the role of Educational Leader for your service…awesome….but what do you do now? There seems to be a whole lot of uncertainty surrounding this role so it’s no wonder I’m answering more and more messages lately from educators asking for help and clarification for this relatively new role. So is there a difference between the role of an educational leader and a managerial leader in early learning services? The short answer is yes, but it gets a little complicated unfortunately. Roles and hierarchies have certainly changed since I first entered the early childhood profession over 30 years ago and although in many ways that is a good thing, change can also bring with it confusion, loss of confidence and a simmering level of resentment or overwhelm. However, judging by the number of messages and emails I am receiveing lately regarding the role of the Educational Leader here in Australia it seems that this is indeed one of those changes causing concern to many educators who have taken on this new role. So, why the confusion? A leader leads don’t they? Well, that is certainly true…but what if you have been offered or thrust into this role with little training, support or even a clear explanation of your required tasks and job description? It happens…to be honest, it happens across all professions not just in early childhood services. I have worked as a manager, leader, coordinator and director in both the community and human services fields as well as early childhood and it is indeed a common issue so if you are sitting there reading this and nodding your head at least you can feel confident in the knowledge that you are not the only one feeling out of your depth or perhaps even a little resentful! I would think that being assigned the important role of educational leader should leave you feeling empowered, confident in your knowledge and skills and excited to support and guide your fellow educators in different ways and for many this is no doubt the case, but according to many of the leaders I talk to this isn’t actually the case and that’s why I wanted to share a quick (and simple) guide to help those struggling to not only better understand the requirements of this role but to also take steps toward confidently leading, inspiring, motivating, teaching and mentoring Educators and teams. What are Educational Leaders worried about? To give you an idea of how some educational leaders are feeling right now about this role read through some of the questions below that I have received over the past couple of months. 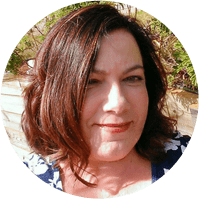 They have been becoming more and more frequent and the reason why I created by Empowered Leader Guides and this blog series. Perhaps you will be able to identify with some of these comments, questions and emotions too. Isn’t the educational leader just the director or coordinator? You get the idea I’m sure! Now I certainly don’t want to imply that all educators in the role of educational leader feel this way. I have also spoken to and seen in action many enthusiastic, empowered and clearly skilled leaders who obviously enjoy and excel at their role but that often comes down to the support, guidance and professional development opportunities they are receiving to help them in this role. Many are unfortunately not receiving this level of support and that’s why I’m writing this blog! 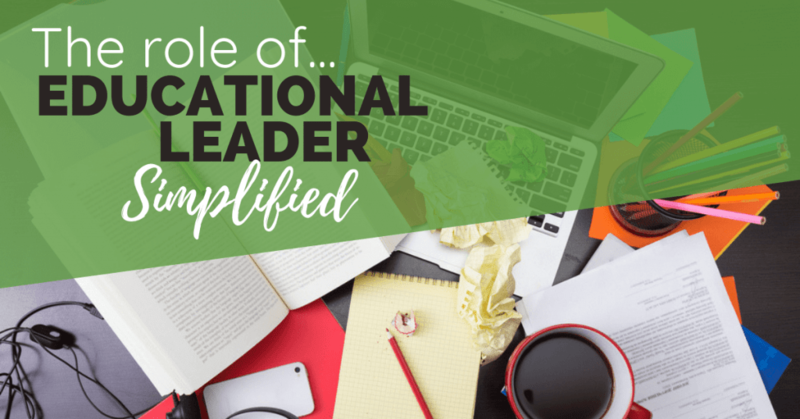 Even if you are one of those feeling comfortable in your role you might also find something of interest in this quick guide to simplifying the role of an educational leader! So you have been given the role or doing it for awhile now but not loving it or perhaps just feeling a little overwhelmed. What do you do now? Let’s break the role down into some specific actions first. The Role of Educational Leader – What Does it Really Mean? It can be easy to become confused when talking about the roles of manager and leader and who covers what in the early childhood professions, the lines are often blurred and that’s when confusion from all staff involved begins to creep in. Who is responsible for what? Who do I need to talk to about that? When I first started working as an assistant in a child care centre at the beginning of the 90’s the hierachy was pretty clear cut. There was usually the centre owner who knew very little about early childhood but knew how to run a business, the Director who was hired to run the early childhood side of things, support and train the educators and of course the room leaders, assistants, students and volunteers. Everyone was pretty clear on their role. I’m not saying it was like that everywhere but it certainly was wherever I went in the 90’s and as I moved up through the roles of assitant, room leader then director (paid at the princely sum of $15 hour I might add!! )I presumed that was the pinnicle of my career and began exploring other types of services and challenges. It was a different time and I know many of you reading these words will have experienced the same sort of scenario over and over. So I actually think it is a time of great change, challenge and opportunity for educators in the early childhood profession now. Yes it can also be frustrating, overwhelming and tiring but there are so many more options now! For example, there are now Sustainability Officers and Educational Leaders – 2 roles that definitely weren’t a ‘formal position’ 20 years ago. They offer the opportunity for us to learn new skills, follow different paths and reflect on what we can still achieve. But there needs to be the support available to ensure this path becomes a positive one. I’m hopeful that we will as a profession begin to lift our game in this area for all early learning services and not just be a case of finding the needle in the haystack long day care centre, director, leader, coordinator or FDC scheme that works together to create one of the many (but often hard to find) supportive and empowering places to work and grow. But it’s not enough to rely on the information and support always coming your way. You have to seek out the information you need to feel empowered and confident in your role and lucky for you I absolutely love helping educators do this no matter their role or current level of experience! 1. To assist and guide other educators in their programming and planning. Ensure they understand the steps of the planning cycle, how to meet those steps but most importantly WHY they are being asked to do them. 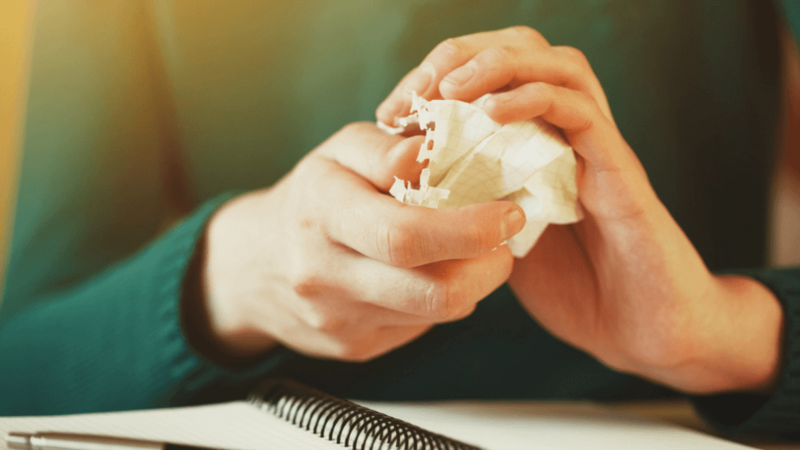 So many educators are not even sure why they are recording the documentation that they do and this quickly leads to resentment and a lack of consistency across a service. It’s also obviously not ideal or helpful to the children they are planning for! Try not to assume that all educators have received training in the ‘basics’. There are many course options out there now and some are better than others so I would suggest always starting from the basics and then working up in blocks so you all progress together and form common goals. If you struggle to explain the planning cycle steps in simple terms and you are a Empowered Ed Hub Member you could ask your team to watch my Simplifying the Planning Cycle webinar and work through the checklists and slide guide together. Just log in to your dashboard then find the video recording on the workshop wonders page and click play at the time that best suits your team…simple! Not a member yet? Join us inside by clicking here. How to relate and align their programming to the service goals and philosophy and also their own. Understand and acknowledge that many adults learn differently and have different skill levels so you might need to introduce a variety of different tools and ways to program that best suit individual needs rather than a ‘whole service must use this form only‘ approach. Identify and support other options, ask what works for them and why if they show resistance to using the current format. Listen. Recognise and appreciate that not everyone is tech savvy and a system and process of ongoing support and training in using digital tools and electronic devices is probably required. Ensure educators know how to confidently use observation tools and templates – whether hard copy or digital apps. Identify any further training or support needed on a regular basis. Give ideas and scenarios for intentional teaching activities and experiences that educators can draw upon. Make sure they are aware of how to incorporate intentional teaching alongside incidental and child led learning. Draw on your experience and knowledge to show educators time effective and meaningful ways to link programs to learning outcomes. Provide professional knowledge, tips and training for educators moving to different age groups or rooms. Don’t presume all educators have experience with all age groups or a multiage environment. 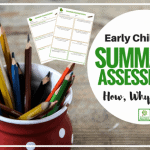 Help educators to understand the purpose and system of observing, analysing learning and then using this information for forward planning and evaluation to record the progress of a child’s individual learning journey. Develop strategies and a process for reflecting on educators planning and programming systems and associated work outputs regularly in a way that is tipped more toward mentoring than monitoring and following up with the level of support and professional development required. Keep up to date with new methods, programming ideas, perspectives and training options to share with team members. Use your knowledge and experience of how different theorists have informed our practice over the years and continue to do so – give real examples rather than just a cheat sheet with links between outcomes and theorists. Model the importance of including the children’s voices in their program and following emerging interests and ideas.Offer tips, tools and ideas for doing this meaningfully. Above all, try to simplify and ensure all educators are confident with their planning and programming goals and the activities and experiences they set up for the children in their care. 2. Aim To Mentor, Motivate & Empower – Not Just Monitor! Being a leader isn’t the same as ‘managing’. There seem to be a lot of ‘grey areas’ in our profession regarding roles, duties and expectations of managers V leader roles and I feel like this is because we are still feeling our way with the new roles being created. Years ago we had a director and they were the ones who not only supported, developed and led educator teams but they also managed the policies, processes, staff issues, budgets and other day to day operations and processes. This is still seen in many services but introducing the role of educational leader in recent years has certainly ‘muddied the waters‘ and led to this confusion between management and leadership roles in early childhood. I think the best way to describe the distinction in my opinion is that leaders usually aim to lead people in ways that not only empower but also encourage opportunity for further development. In other words their focus in on on the future and how we will get there as a team or individual. How can you as a leader help make that happen?. Managers, on the other hand, are usually better at managing the day to day systems and routines. They use organisational skills and current processes to plan, organise and coordinate people to ensure things run smoothly and day to day issues are dealt with. This might encompass tasks such as safety checks, staff rosters and holidays, meetings, writing reports, budgets, family meetings, enrolments, funding proposals, on the floor responsibilities etc. However, it doesn’t have to be one or the other. A manager can also be an effective and inspiring leader by incorporating leadership skills into their management role and day to day tasks but the addition of the specific role of educational leader now allows for more scope and distribution of tasks. What I’m trying to say is that the Coordinator, Director, Manager, Team Leader, Head Teacher might have leadership skills (or they might not! )but it doesn’t mean that only those people can hold the role of educational leader within an early childhood service. The reason I wanted to make this distinction is that I think it is very important to understand that services need to have these conversations and be clear about both managerial and leadership roles and who will be responsible for what! The Educational Leader needs to focus on finding ways to mentor and motivate in the areas of programming , planning, meeting outcomes and principles, connecting with families, the reflection process and working effectively and collaboratively as a team member. Making some time throughout the day to catch up with quick informal conversations between leader and educator and jotting down important notes and feedback. Creating opportunities for mentor sessions that have a set time but are still flexible and informal with the aim of identifying any current concerns or issues, setting and supporting goals, identifying professional development needs and recognising positive work ethics and achievements on a consistent basis. If you are not sure how to begin with mentoring and coaching sessions as a leader you can use the ‘Connect & Grow’ Guide & Action Plan I have put together for leaders to use. 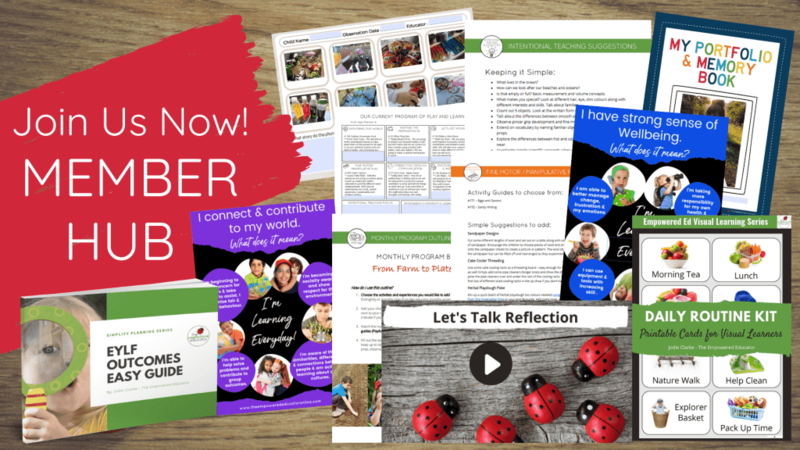 Find and share new resources, activity ideas, environment inspiration and planning tools to provide motivation for educators to continually focus on high-quality programs, activities and experiences for children in care. 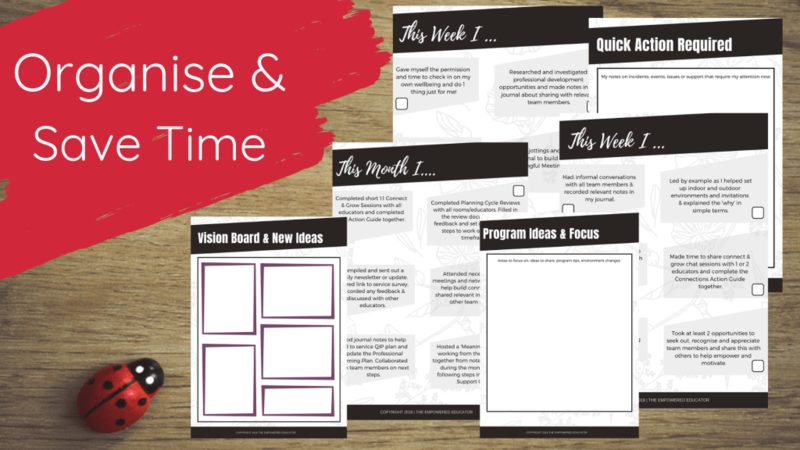 You will find a Vision Board and Program Ideas/Inspiration pages in the Educational Leader Journal to help you with this step. Knowledge is a powerful motivator so it can be beneficial for a leader to focus on breaking larger topics down into smaller learning goals and making the learning as visual and interactive as possible. This works well when exploring learning outcome areas, the planning cycle steps, parent communication etc. Break them down and think about ways you can inspire and motivate on a topic that people might be struggling with. Help them to achieve a ‘quick win’ then move onto your next topic! Share your own philosophy, knowledge, skills and life experiences with the less experienced educators and students. 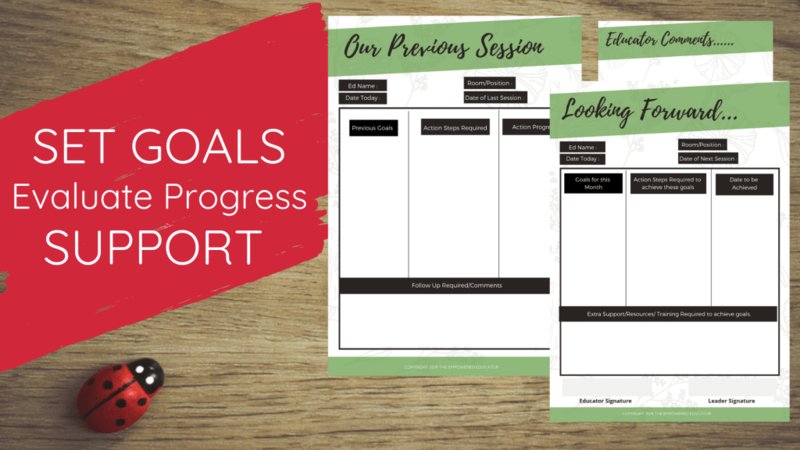 Use regular conversations, observations and mentor sessions to help educators set goals and decide on the action steps and support required to achieve these goals. Discuss routines you have observed and offer suggestions for how they might be modified or extended to create more effective learning experiences and opportunities. Take the time during each week to celebrate group and individual successes, positive feedback received or achievements. Record these moments and conversations as evidence for future A & R visits. If you use the Ed Leader Get Up & Go Journal you will find pages that help you to record this evidence quickly and simply. Show educators simple ways they can make their learning and thinking visible. Sometimes we need to SEE something rather than just hear about it to fully understand and reflect. 3. Collaborate, Network & Represent. 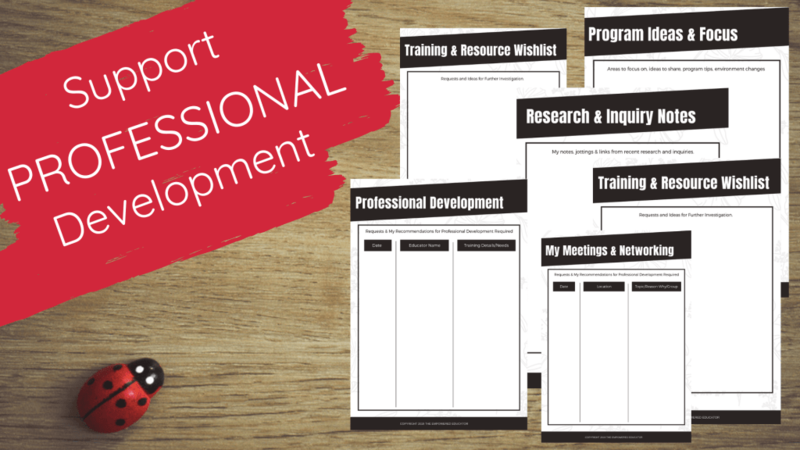 It is important for educational leaders to think about their ongoing own professional development requirements and how this can in turn support educators within their team. Meetings and training sessions can be an important part of this goal but let’s break it down and list a few actions you can try to get started. Attend networking sessions with other educational leaders in your area – if there isn’t one, why not start your own group and invite others? Join Facebook or other social media groups set up for leaders and directors to exchange ideas and support. Attend committee and community meetings as a representative of your team and service. Reach out to different community, cultural and family services in your area, attend meetings, ask for ways you could be involved or form collaborative partnerships to link back in with your planning and program. These services often have skilled professionals, elders, counsellors etc that you can invite to present talks to parents or educators at team meetings. Prepare, organise and present regular team meetings that explore areas of focus like learning outcomes and quality improvement planning. 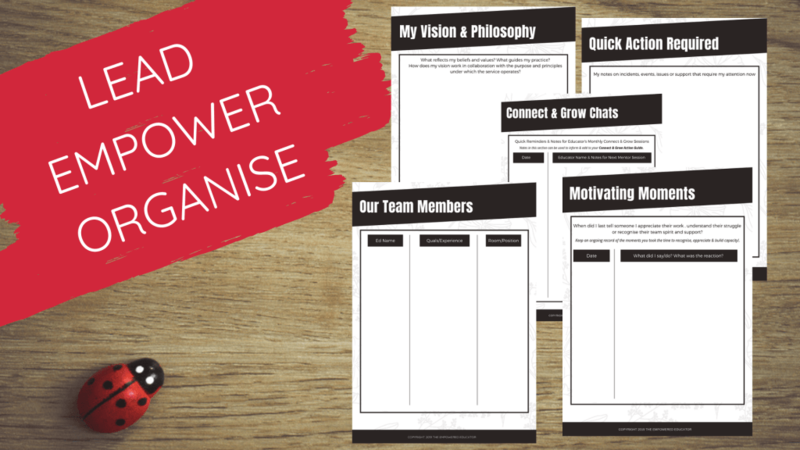 If this area is new to you or you are not sure how to run meetings and make them useful for team members rather than a burden or something to dread you need the Empowered Ed Meaningful Meetings Guide to take you through meeting organisation and strategy step by step. 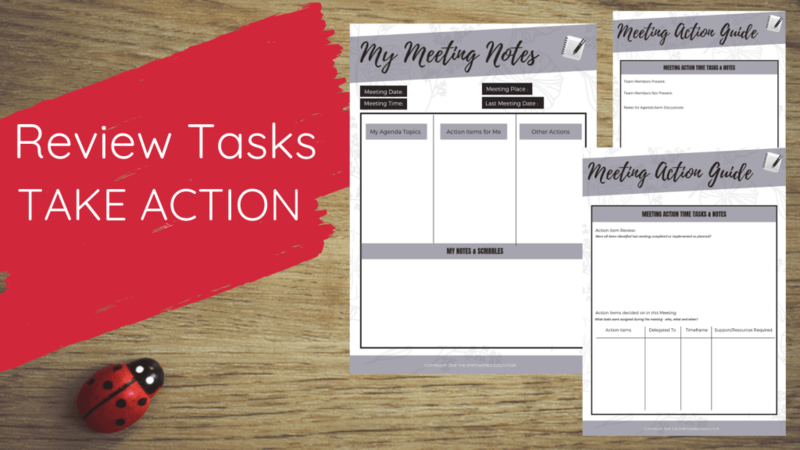 Use the templates to also help you record meeting minutes, set and review action plans and tasks and cover all items on the agenda within the allocated timeframe. Ensure policies, procedures and networks are in place to work with and refer to other early childhood professionals such as maternal and child health nurses, early childhood intervention specialists and specific government-funded programs. 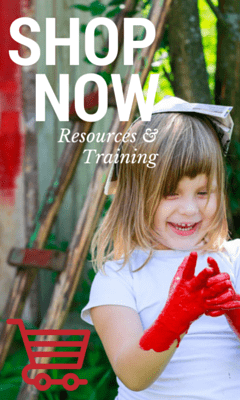 Research and find professional development tools, opportunities and resources that help keep you up to date with your knowledge and understanding of child development, approaches, theories and learning styles. Initiate and support a culture of professional inquiry with educators, coordinators and staff members to further develop professional knowledge, reflect on practice and generate new ideas. Inspire and motivate through examples, modelling, professional development opportunities and mentoring sessions. Ensure you reflect regularly on your own wellbeing and time management. Seek support for carrying out your role without becoming overwhelmed or taken advantage of. Establish a time management and organisation system that works with your own strengths, preferences and style of leadership. At some stage you will be expected to show evidence of the work you have been doing and how you have been motivating and supporting the professional development of all team members but you need to find a way of compiling this evidence that is time efficient and doesn’t create a whole lot of unnecessary extra writing and paperwork for you. This is exactly why I created the Educational Leader Journal – doing a little bit each day as you go saves a whole lot of time in the long run! 4. To build engagement with families and ensure the inclusion of culture and diversity throughout everyday service practice. Ensure the curriculum and program is easily understandable and meaningful to families and children. Mentor educators in ways they can achieve this goal as they write and compile their program and other documentation. Put in place strategies, policies and routines to ensure parents, carers and children feel secure, welcome and a sense of belonging to the service environment and staff. Communicate with families utilising a variety of formats to share and explain the current educational program, service goals and philosophy. Establish guidelines and mentor educators on how to include families in their planning, share the program learning outcomes, the progress of their child’s learning journey and ensure the environment is setup to enable easy access to information about their child’s day and any documentation. Ensure all educators are aware of how to communicate effectively and consistently with parents including at drop off, pick up and other transition times. Seek out information about new families culture, traditions, customs and any special requirements right from the beginning at the enrolment process and through questions asked in forms and interviews. Organise regular family events and celebrations and encourage the inclusion of the various cultures, traditions, symbols and traditions embraced by families attending your service. 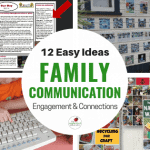 Create respectful displays of parent and family contributions, feedback, visits and celebrations. Include families native language in communication tools, displays and enrolment resources. 5. To confidently use communication & reflection skills to ensure the goals, expectations, routines and strategies for best practice are understood and achieved by all team members . Collaborate with staff and management to review and create policies. Ensure all team members are aware of and understand the policies underpinning their work. Consistently research, develop and review course curricula and teaching/learning materials drawing on your knowledge and understanding of educational theory and practice. 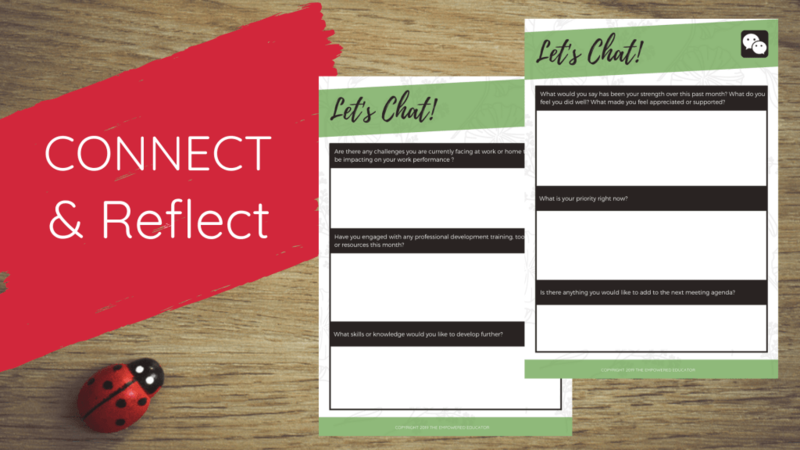 Set regular team meetings and introduce topics and questions for reflection. 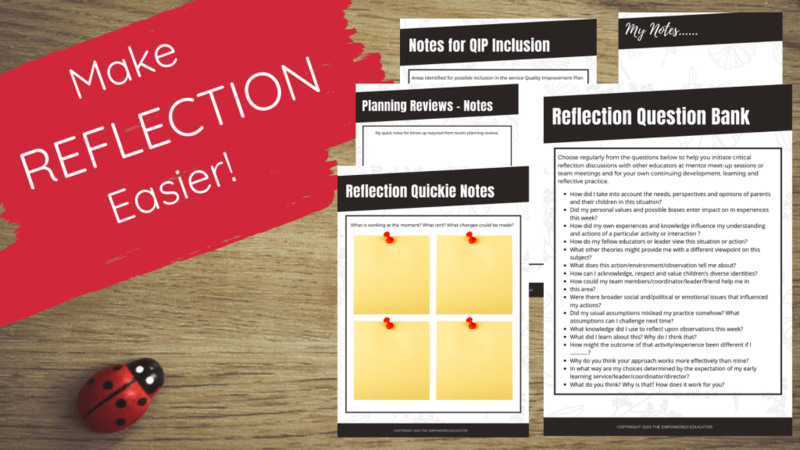 If you have the Meaningful Meetings guide you could use some of the ideas in the reflection question bank to add to your agendas. Establish systems across the entire service to ensure there is continuity of learning when children change room or attend other services and then in their transition to school. Communicate with educators and other service staff to ensure everyone is aware of these systems, how to implement them across different age groups and timespans and why it is important to follow. 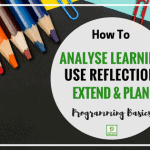 Find and provide the training and support to help educators understand the purpose of regular critical reflection and how they can use their reflections to make changes, request additional learning and better understand why they do what they do. Challenge educators to question what and why on a regular basis and role play scenarios to help guide the reflection process. Create a regular routine of observing interactions between all educators and children then reflecting, make notes in your journal and come back to make suggestions on how they could improve those interactions and intentional teaching experiences. Lead and model through day to day interactions, the opportunities that might have been missed or perhaps not handled according to best practice principles and knowledge. Active learning isn’t just for children!! Build up a toolbox of team building strategies you can use throughout the year and regularly at team meetings. Record spontaneous conversations with parents, coordinators, educators and others to review and reflect upon later and build your evidence of regular systems in place. If you are not sure how to do this use the Ed Leader Journal to lead you through it and keep everything in the one place. Consider the leadership styles that you have responded to best in the past and identify what worked and what didn’t then use that information to create your own unique leadership style. If you consistently use an authoritarian or controlling type approach you will probably find that the responses and level of action taken by team members are not as positive as you would like it to be or had envisaged. Remaining approachable, friendly yet assertive, understanding and open to discussions tends to get you better results and help you to form more respectful and professional relationships. Keep in mind you cannot lead and also be ‘everyone’s best buddy’ while at work – and that’s ok!. You don’t want to become a pushover but you don’t want to become the service bad guy/gal either so think through how you can maintain a balance! An educational leader needs to build on strengths but they also need to be able to identify weaknesses and concerns then work through these effectively with team members. Sometimes you have to have what I call those ‘Courageous Conversations’ and that’s why I added a special page for those in the Ed Leader Journal! When it comes to the Educational Leader role there are quite a few myths currently swirling around doing their best to confuse people so let’s take a look at the 5 I get asked most about! Educational leaders are not responsible for doing all of the service programming and planning. 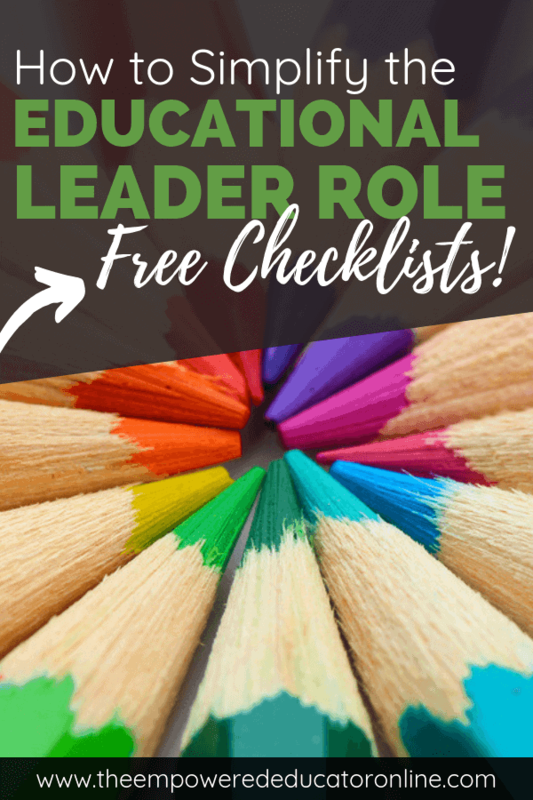 NQS and Legislative Standards are not prescriptive about the qualifications, experience and skills required to be an educational leader nor do they include a role description for the person chosen. There is flexibility for approved providers to make a choice regarding who they feel would be the best person for the role. The role does not have to go to a current Director, Coordinator or other ‘Management’ type position as long as the person chosen is a suitably qualified and experienced educator or other individual as chosen by the approved provider of a service (Australian Regulations Only). There isn’t an expectation that the Educational Leader must take over the responsibility for all supervision of staff. The educational leader of a service is not required to be the most experienced, hold the greatest number of qualifications or even work the longest hours/fulltime. What attributes, experience and skills are well suited to the role of educational leader? The educational leader role is part of Quality Area 7 – Leadership and Service Management in the National Quality Standard (NQS). Standard 7.1 in the NQS requires that effective leadership promotes a positive organisational culture and builds a professional learning community. Element 7.1.4 requires that provision is made to ensure a suitably qualified and experienced educator or coordinator leads the development of the curriculum and ensures the establishment of clear goals and expectations for teaching and learning. But what does this really mean when considering who to give this role to in early childhood services? How do you know if you are suited to the role or if you are in the position of choosing a leader what are you looking for? Firstly it needs to be someone who is willing to make the extra time and effort needed for the role. Someone who will enjoy and embrace the challenge. It’s no point appointing someone a leader if they are resistant to the role. They can confidently lead through modelling and hands-on action and are willing to take on a mentor role with educators from diverse backgrounds. They should be able to break things down, simplify and explain steps and processes by delivering in smaller bite-size sessions so as not to overwhelm or create unnecessary angst. Has good communication and assertiveness skills and is able to recognise that the different educators making up the service team will have varying skill-sets, on the job experience and learning styles. They will be able to take this into account when making connections and mentoring. 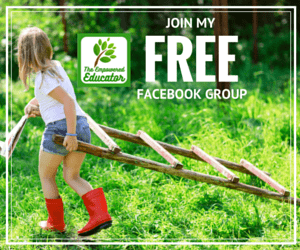 Someone who enjoys researching new perspectives, activity ideas, approaches and environments and then is able to disseminate and share this learning with educators in smaller easily understood sessions. Must be knowledgeable about the NQS and related regulatory standards. Qualifications and on the floor experience in the early childhood profession and a comprehensive knowledge of theories, learning and early childhood development across a broad range of ages. Has an understanding of basic leadership styles and theory and how a leader differs to a manager role. An ability to practice active listening as well as talking and knowing when to do each one. Essential that they are interested in and passionate about children’s learning in the early years and how to document and share this learning. Able to manage their time effectively, organise paperwork and create systems that work for their individual needs and those of the team as a whole. Seen as a warm and approachable person – not a dictator or judgemental ! What do Educational Leaders need to do a good job? Opportunities to attend local networking sessions and useful professional development on a regular basis to ensure they remain motivated and up to date in their role. Budget to attend conferences and other useful events. Clear guidelines and expectations around their role. People cannot do a good job or feel empowered in their role if they do not know what they are working toward or trying to achieve. Be clear and ensure it is shared in writing, discussed and reviewed as needed. Subscriptions to online support resources like Member Hub, magazines and journals to help leaders consistently access new information, resources and tools every month and take back to share with the team. A high level of autonomy and trust to carry out their role leading to a sense of achievement and empowerment. Dedicated time off the floor to organise paperwork, conduct mentor sessions and reviews, prep for meetings and research new information to share with other educators. 5 Action Steps Educational Leaders can take right now! 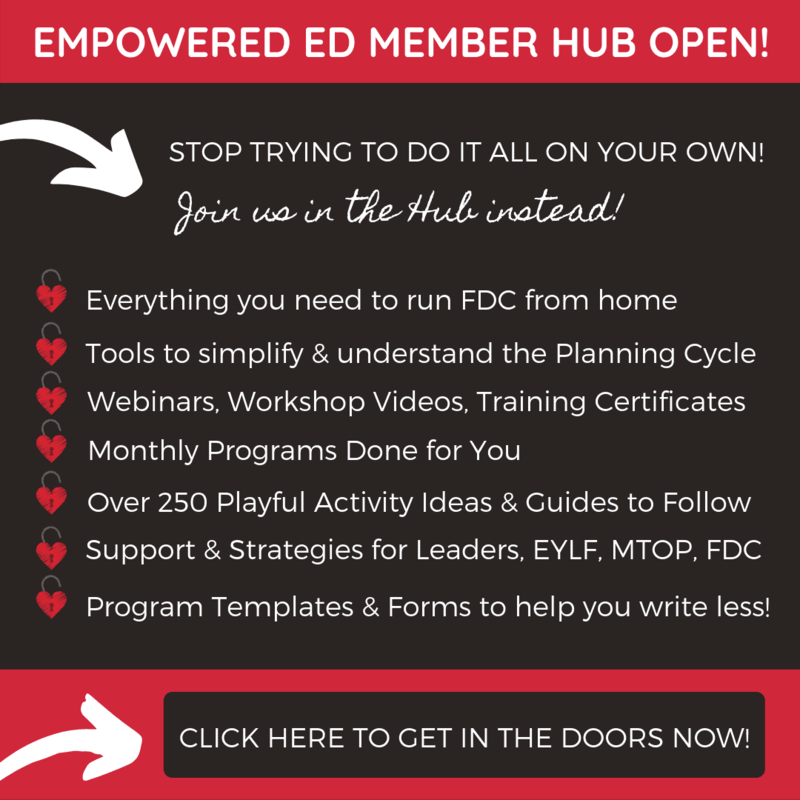 If you are not already a member talk to your Director, Coordinator or Manager about paying for your monthly or annual subscription to the Empowered Ed Member Hub online. 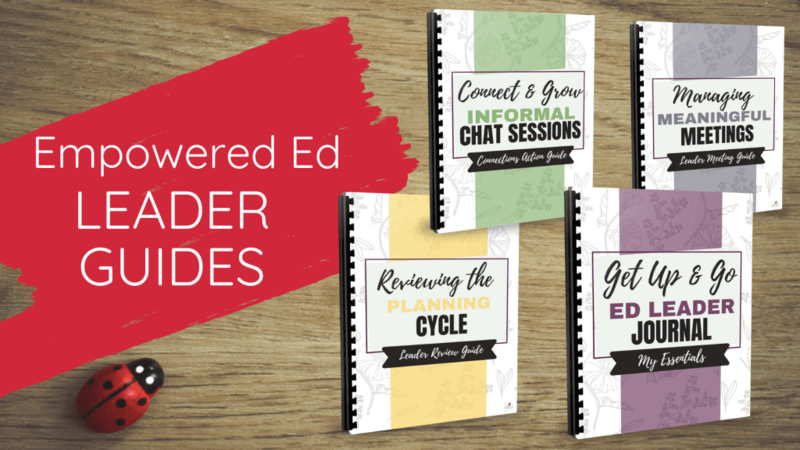 You’ll immediately get access to monthly planners, over 250 play based activity ideas, webinars, training videos, E-Books, planning templates, a private member community, the entire library of Ed leadership Guides, a member environment and provocation inspiration album and so much more to make your role easier! Best of all you can download and share the resources as needed with your team. Set up a folder (yep, old school hard copy not digital!) with all of your essential paperwork and notes to help you get organised and focused on what you need to do in your role. The reason I say a folder is because you are one busy person and often in a number of different places so you want to be able to just grab your essentials and take with you so you are always prepared and always ready to record evidence, conversations, tips, ideas and more. You will get to know what is important to you to have in your folder but if you need a little help I’ve compiled pages ready to go into a folder here for you already. Set a time to do a planning cycle review with all relevant educators. Identify strengths but also any weak areas that might need some extra support from you. Ensure everyone on the team understands why and how to document learning effectively to show clear links to learning outcomes. Research a variety of different tools and methods for documentation that you might need to use with educators struggling with the current system. 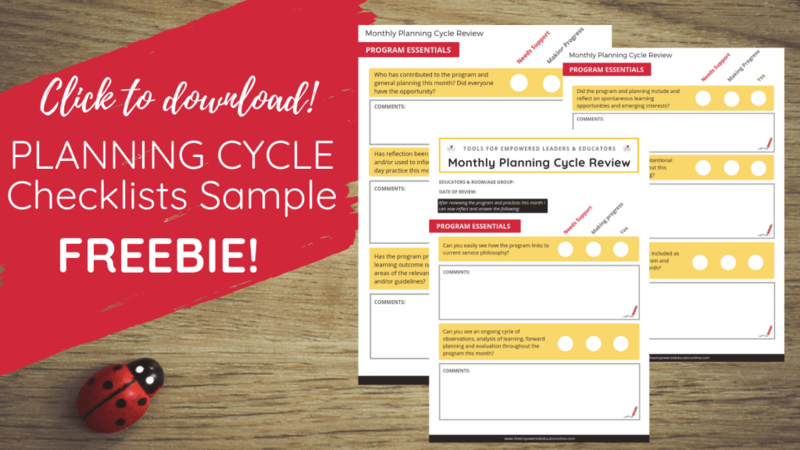 If you are struggling with what questions to ask in your review you can download a free excerpt from my Planning Cycle Review Guide and Checklist here to help get you started. Research and decide on one conference, training session, webinar or networking meeting that you feel would be helpful to your role and book it into your diary right now! If you are not receiving dedicated ‘educational leader’ planning time in addition to your other duties then also book in to meet with management about possible solutions to change this! Choose 2 reflection questions from focus areas you would like to discuss over the next 2 team meetings. Think about how you will word them on the agenda, what you want educators to read or take action on before the meetings and how you will motivate team members to engage in reflection and learning that will follow. Could you do some role plays or interactive activities, create a step by step visual aid like a powerpoint with music or a brainstorming session breaking into smaller groups? Think outside the box and plan it all out beforehand. 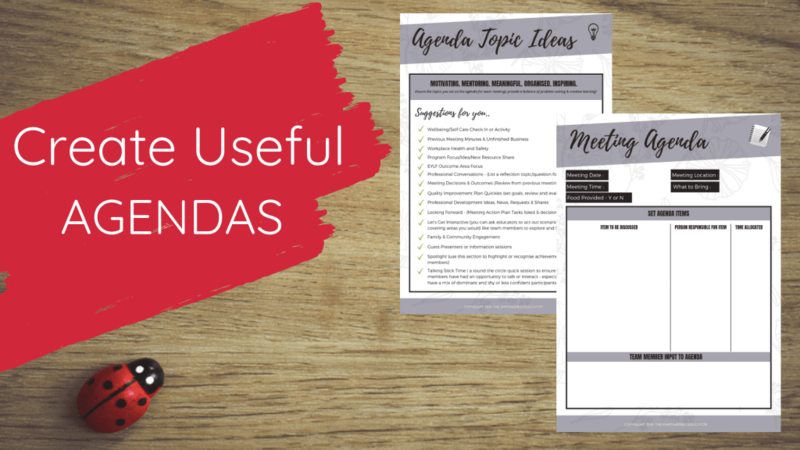 Use my Meaningful Meetings Guide to access a reflection question bank, agenda template and meeting topic suggestions. Wow…well done you for reaching the bottom of this mammoth article! I really hope I have been able to answer some of your questions and perhaps motivate you to embrace and make the most of your role as educational leader. 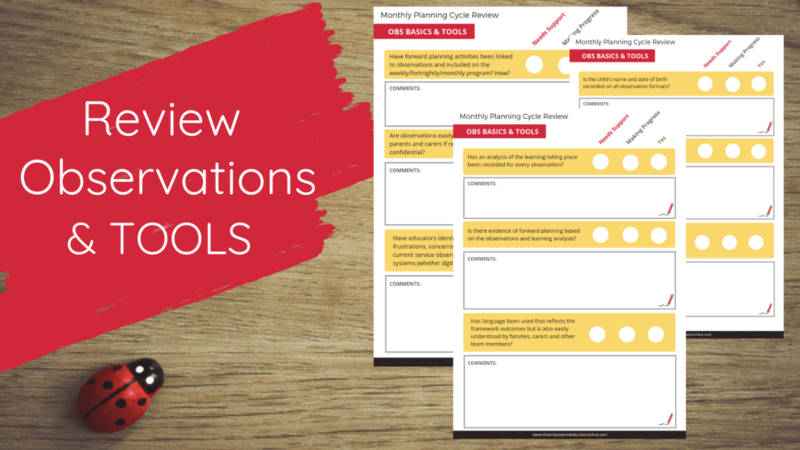 Make sure to download your FREE planning cycle review checklists to help get you started taking action. If you are a Hub member you can now access the entire review guide on the printables page inside the Hub! 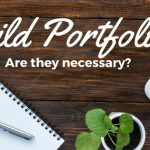 Child Portfolios in Early Childhood Settings – Are they Necessary? I was waiting for this proffessional reading for a longggg time and here it is . Thanks so much for sharing your feedback Pam – so glad you have found it useful! I am in the position where I have to decide on whether I want to take on the huge responsibility of heading up our school from next year. Thank you so much for this!! You have voiced all my insecurities on so many levels and feel much more confident now. Thank you so much for putting the guides together and for writing this blog post. I commented on the Members Hub Facebook post saying how excited I was to see all this because, I have recently been given the role and am incredibly overwhelmed. This has given me an amazing foundation to work with and will certainly be put to use in my centre. I’m sorry you are feeling overwhelmed in your new role Madalynn – I really do hope the guides help you build that foundation….remember that not everything has to happen at once! More leadership tools are coming into member hub soon so you will have access to those too since you are a member! We don’t currently have a position like this in our center but I feel like it would solve so many of the complaints I hear from my co-workers about what is lacking in leadership. Thank you for breaking it down so thoroughly!